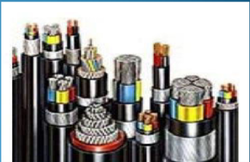 We are a prominent entity, engaged in trading and supplying a comprehensive assortment of PIJF Cables which is fabricated at our vendors' end using modern machines and sound technology. 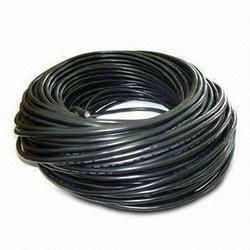 We have a highly advanced infrastructure that supports us in providing the best quality range of Electric Cables. We have uniquely positioned ourselves as a dependable firm, engaged in manufacturing and supplying a commendable array of Electrical Cables that are broadly used in electrical industry. These cables are manufactured using superior quality aluminium and the sophisticated technology under the guidance of trained professionals. KKSP has done a major progress in field of providing customized pre-casted products. Its exclusive product being the conical manholes. Conical manholes are used in laying and joining of underground cables for both telecom and power sector. - Developed at specific requirement of the customer. To meet the variegated demands of the clients, our company is instrumental in offering an excellent quality range of HDMI Cable. Electrical cables offered by us are sourced only from those reliable vendors who provide ISI certified cables. The reputed companies such finolex, bemscab, belden, rallison, grandlay, KEI are some of our manufacturers. These cables are known for its durability and accurate in performance. Extremely safe to use, our range of cables are used in transmitting signals. We offer a wide range of Rajdoot Cables to our customers. In order to cater the variegated demands of our precious clients, we are offering a wide range of Electric Cables. - We are providing a wide range of cables for home use, commercial use, official uses etc.